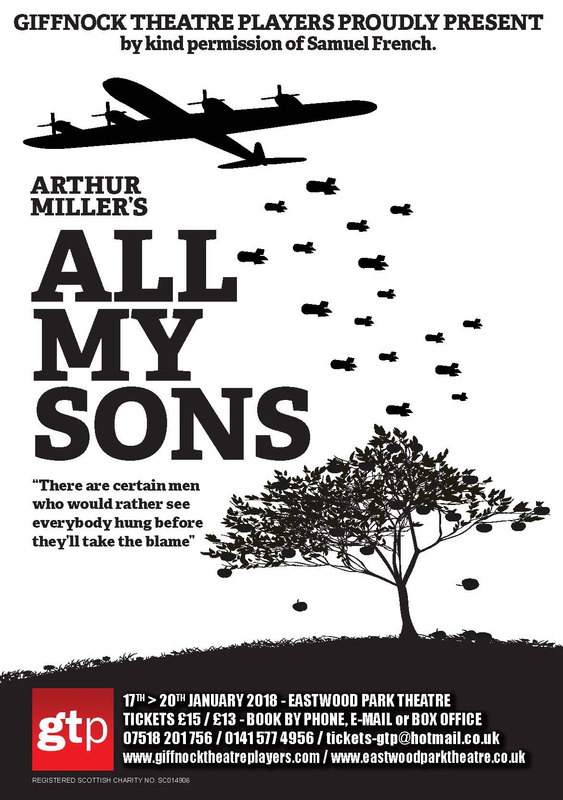 Arthur Miller’s classic play is set in America just after World War II and explores the complex relationship between fathers and sons, and the conflicts between dubious business ethics and personal morality. Part family drama, part thriller it begins on a quiet Sunday morning in the yard of the Keller family’s suburban mid-west home. All is not quite as it seems. A storm damaged tree stands in the garden. It is the portent on how the Keller family life will unravel over the space of just a day. The themes and issues of this play still resonate today. Wednesday 17th – Saturday 20th January 2018 7.30pm each evening, 2.30pm Saturday Matinee.